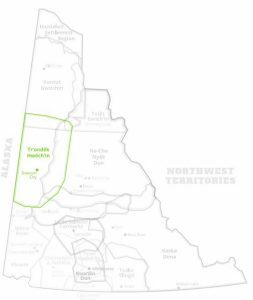 The Tr’ondek Hwech’in First Nation is located in Dawson City and belongs to the Han linguistic grouping (this is a linguistic term which recently has been replaced by the term Tr’ondek Hwech’in), which means, the people of the Klondike River. The people moved to the Moosehide reserve, just downriver from Dawson, at the time of the Klondike Gold Rush. In the 1950’s, and eventually, the declining population at Moosehide caused the Han people to move back to Dawson, where they have become an integral part of the community. As of April 1999, the registered population of the Tr’ondek Hwech’in was 614. About 420 people were living off reserve or crown land, some in other communities. With the signing of their Land Claims and Self-government agreements in 1998, the First Nation became the owners of approximately 1,000 square miles of land within their traditional territory. They will also benefit from $21,811,002 of compensation moneys over 15 years. The Tr’ondek Hwech’in were one of the Yukon First Nations most affected by the influx of white gold miners and settlers in their territory and as a result have been actively working on reclaiming their traditional cultural ways. 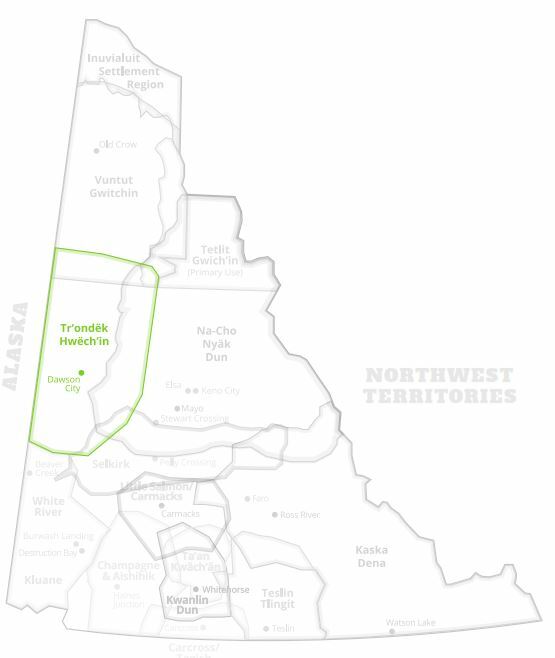 During the gold rush years, Chief Isaac took the songs and dances of his people across the border to the village of Mansfield, Alaska, and entrusted them to the people there, to be returned when the time was right and the Tr’ondek people were ready. The people of Dawson are now committed to regaining their songs and dances and have been actively working in this area.